Pioneers in the industry, we offer anti-hypertensives drug, antihypertensive tablets and telmisartan & hydrochlorothiazide tablets from India. 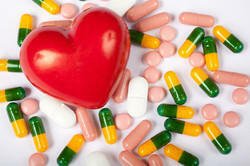 We are offering Antihypertensive Drugs to our clients. These lowers blood pressure, although the mechanisms of action vary greatly. These are highly demanded and are offered at market leading prices. 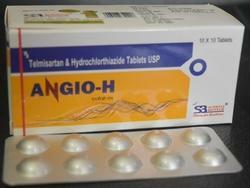 We are offering Antihypertensive Tablets to our clients. These lowers blood pressure, although the mechanisms of action vary greatly. These are highly demanded and are offered at market leading prices. 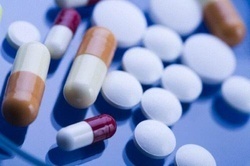 blocking the effects of angiotensin II, telmisartan causes blood vessels to relax. causes a decrease in blood volume. telmisartan with hydrochlorothiazide enhances the antihypertensive efficacy of telmisartan in patients not adequately controlled with telmisartan alone. has longer duration of actions. These agents are bound to plasma proteins to varying degrees and this has no correlation to their half-life. adequately responsive to telmisartan alone. from the gastrointestinal tract. It shows its effect in 1 - 2 hr after oral administration. This combination is used to treat various painful inflammatory conditions. addition. Moreover it has a considerable safety profile, with persistent results.